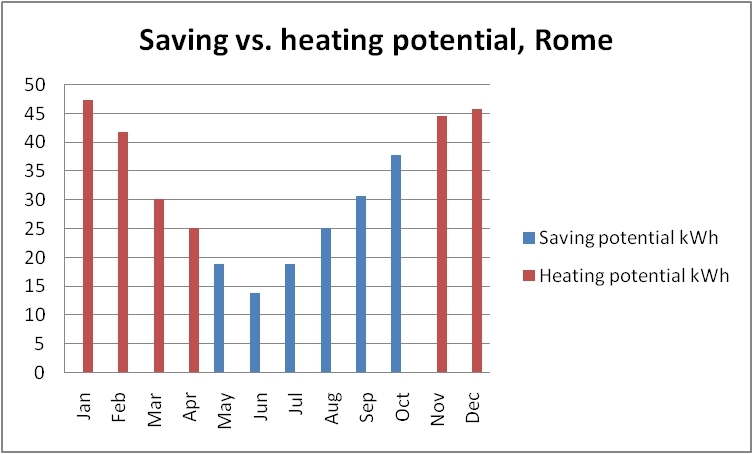 In a recent study we analyzed the relationship between two basic parameters which are crucial for every economy: its final energy consumption (FEC) and its productivity level. Conventional wisdom has it that, in order to stay competitive, a modern economy has to become more productive over the years. There are clear differences between various countries as far as their productivity growth is concerned. 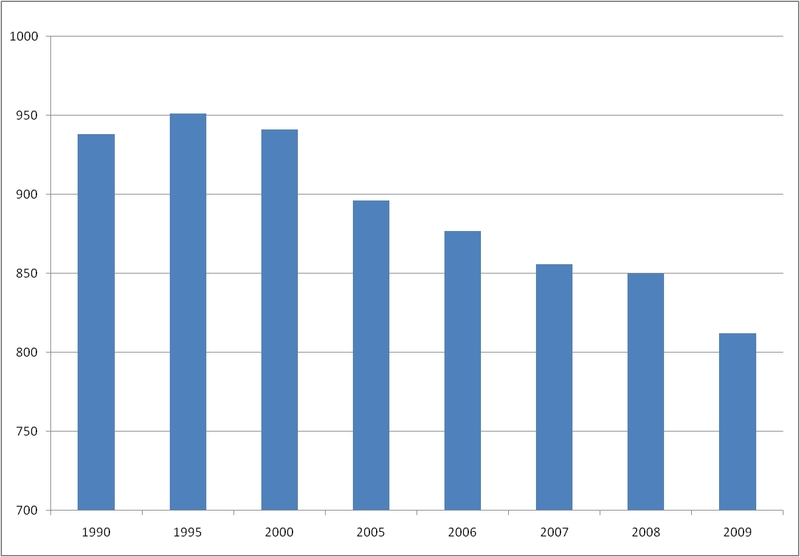 The overall picture is such that between 1995 and the beginning of the financial crisis in 2008 economic output per working hour increased significantly in most EU Member States. Then, with very few exceptions, a general downturn set in yielding lower output figures than before the crisis. One notable exception was Spain where productivity rose even during that difficult period. If, on the one hand, economies are supposed to increase their production per working hour they are, on the other hand, also keen on using as little energy as possible. 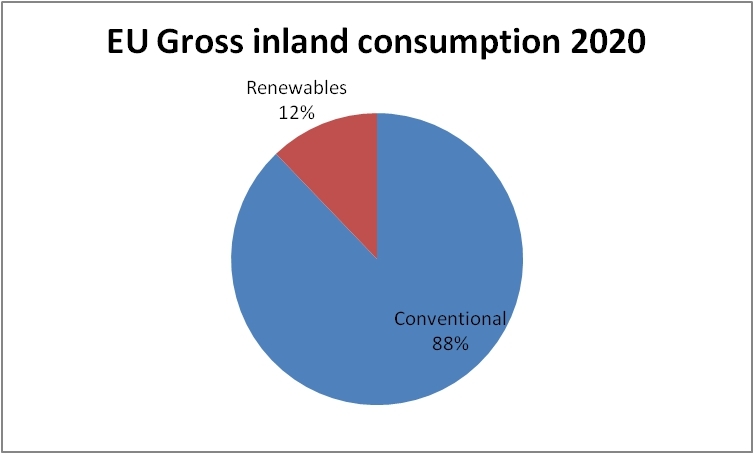 The aim is to produce more with the same amount of energy or, in other words, to improve energy intensity. 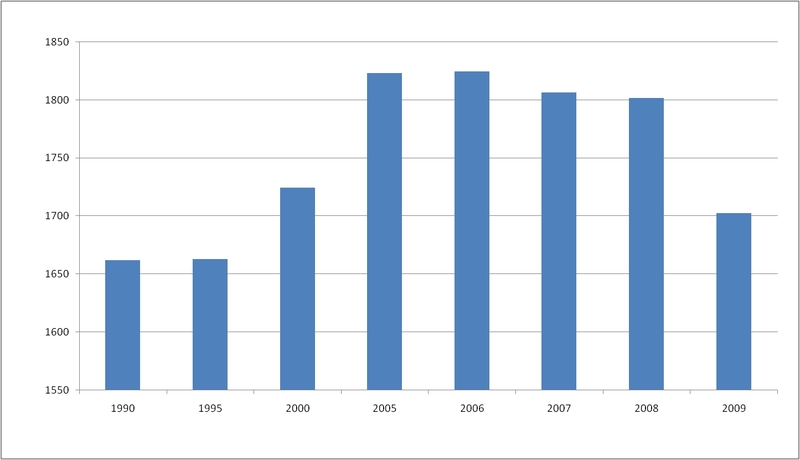 In order to make the two things comparable, we have indexed them, setting 2005=100, and followed them during the period 1995 – 2009. All the raw data of our investigation have been taken from Eurostat. 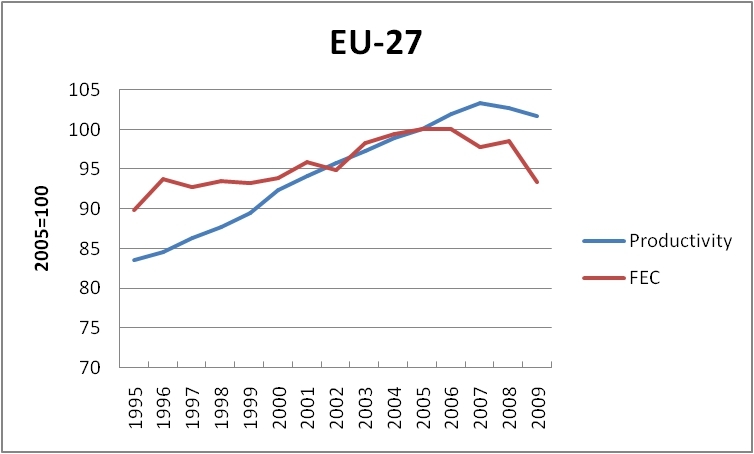 Let us look at the EU-27 data first (Fig. 1). Fig. 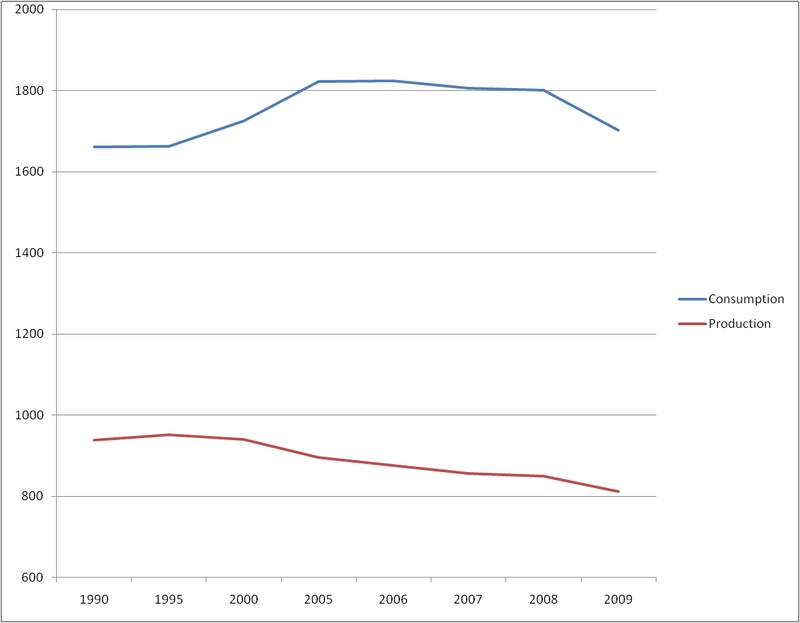 1 Productivity and final energy consumption (FEC) in the EU. 2005=100. 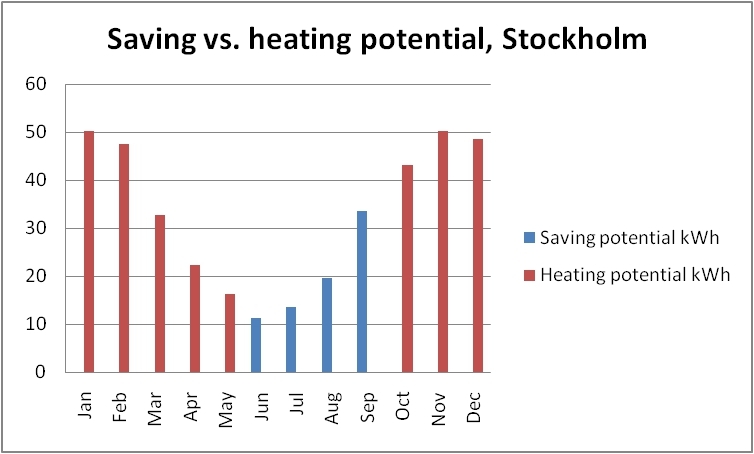 We see that productivity has increased siginificantly stronger than final energy consumption (21.8% vs. 4.0%). Remarkably, just before the economic crisis, the EU managed to go up in productivity while at the same time consumption figures climbed only moderately. 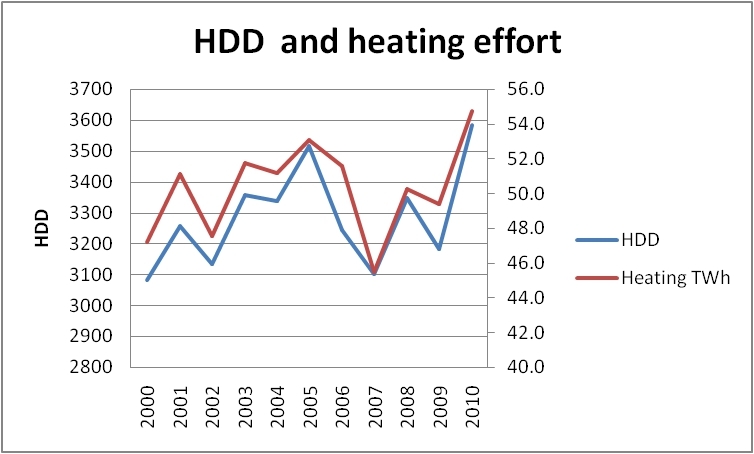 The crisis of 2008 led to a slight downturn in output per hour and and to a substantial lowering of energy needs. The overall EU picture is nicely reflected by Germany showing a similar pattern (Fig. 2). 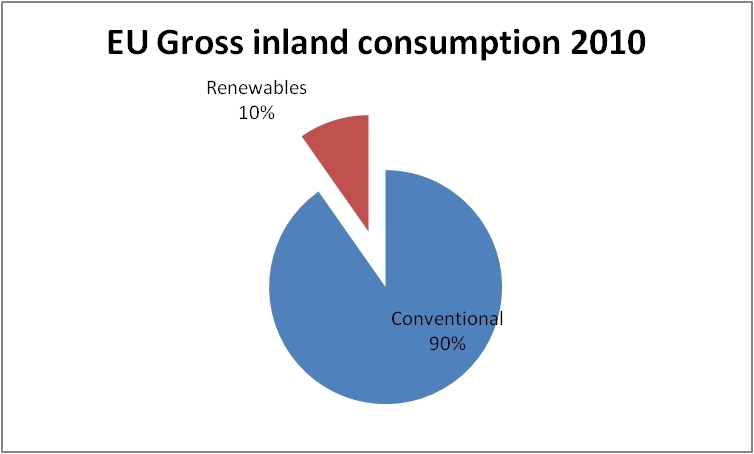 Germany´s final energy consumption index has been fairly stable over the years, mostly oscillating between 95 and 100 and reaching its lowest value in 2009 (-3.5%). Her economic performance, on the other hand, was outstanding (+20.1%). Similar conclusions may be drawn for France and the Netherlands which are not shown here. 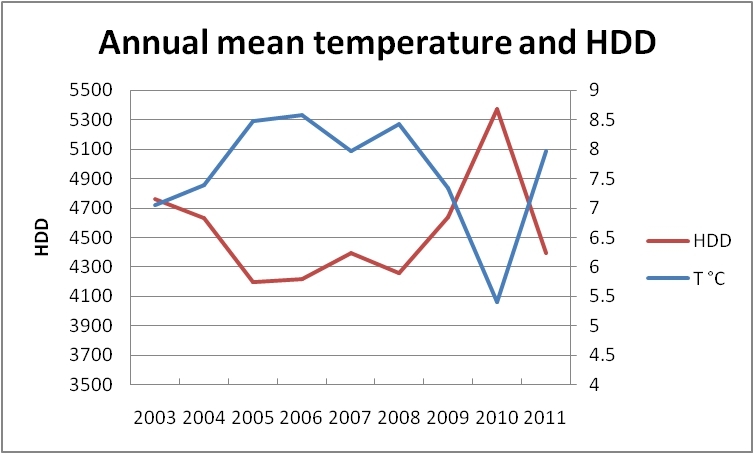 The situation is strikingly different in the case of Spain (Fig. 3). Fig. 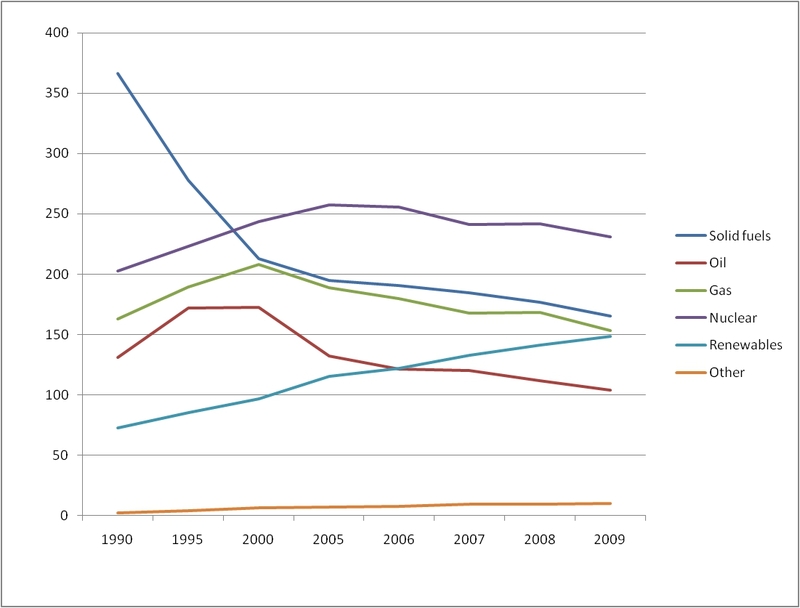 3 Productivity and final enrgy consumption in Spain, 2005=100. 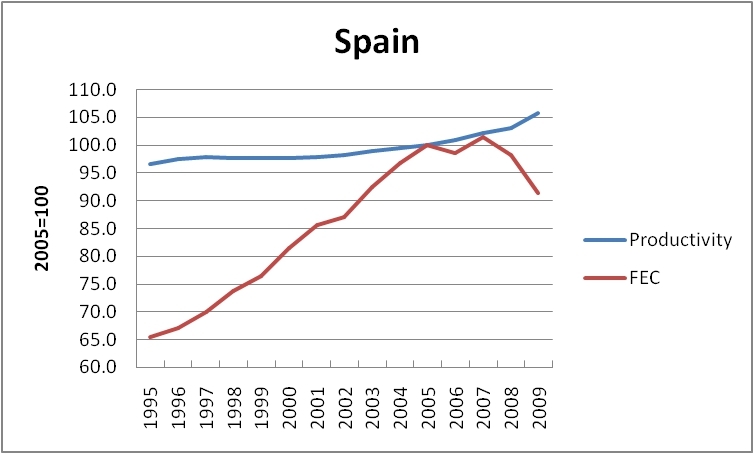 First we note that Spain´s productivity gain has not at all been outstanding over the 14-year period. 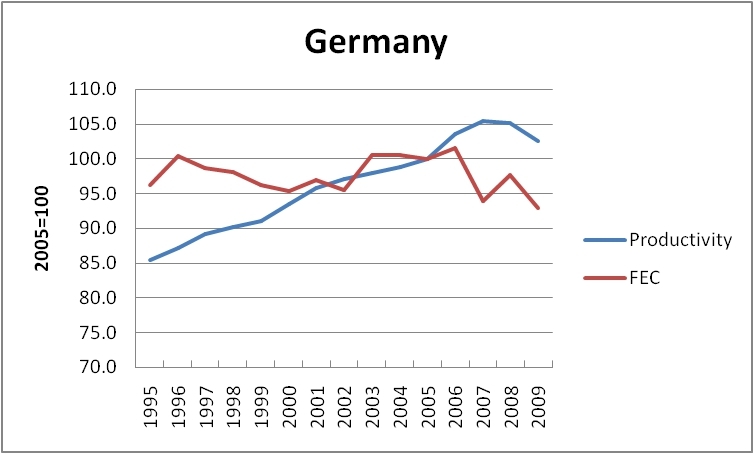 Compared to other countries like Germany, the increase was rather moderate (9.6%). 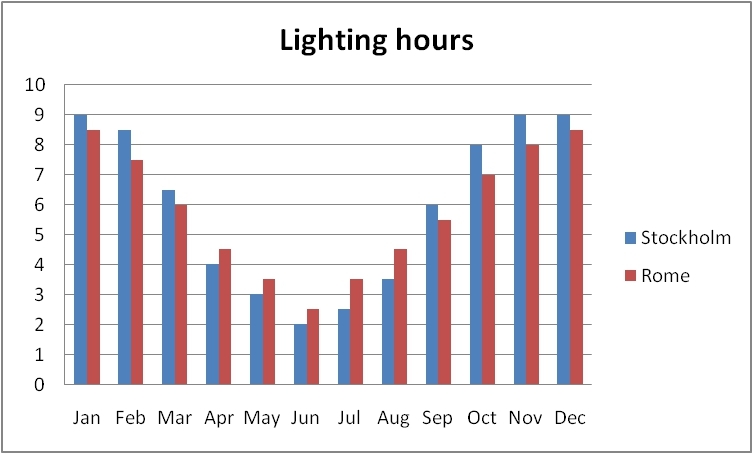 Second, energy consumption has gone up at a much higher pace than output per hour (39.6%). As a consequence of economic crisis the consumption index went down for the first time in more than 10 years. A rather similar conclusion can be drawn for Italy (not shown), whereh a moderate rise in productivity was met by a soaring energy consumption. After 2005 consumption figures came down here, too, and the productivity index followed shortly after. 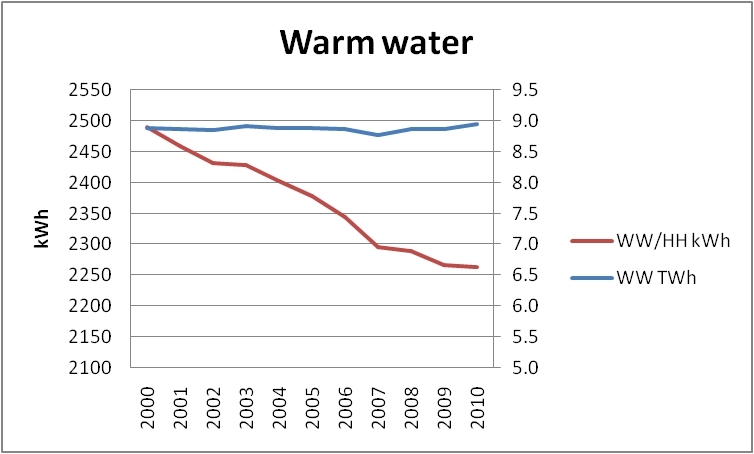 The situation looks entirely different in Sweden (Fig. 4). Fig. 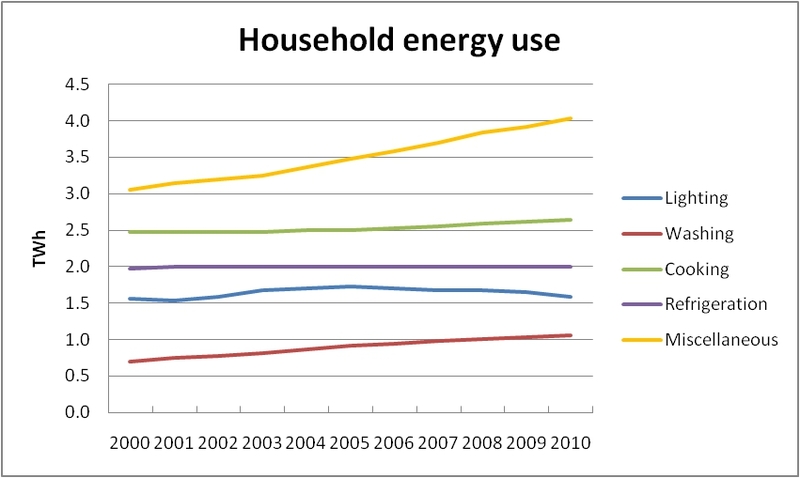 4 Productivity and final energy consumption in Sweden, 2005=100. 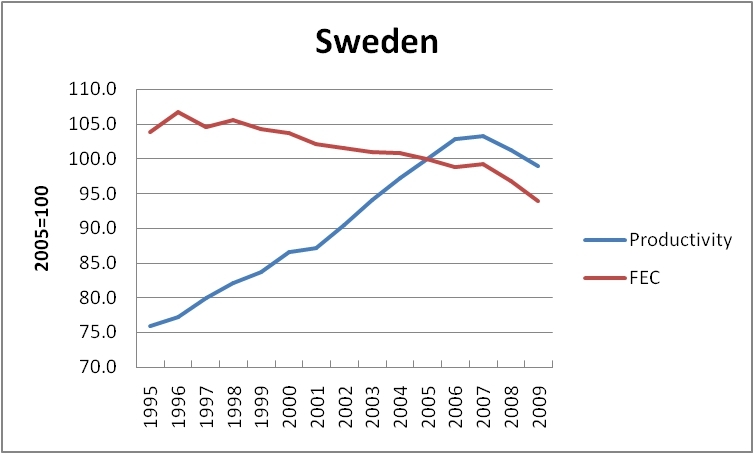 In terms of energy consumption Sweden has steadily gone down (-9.5%) whereas productivity gains were quite impressive (30.3%), the latter, not surprisingly, being shaken by the global economic situation from 2007 onward. This picture clearly reveals that Sweden not only managed to produce considerably more per working hour but also with less energy. 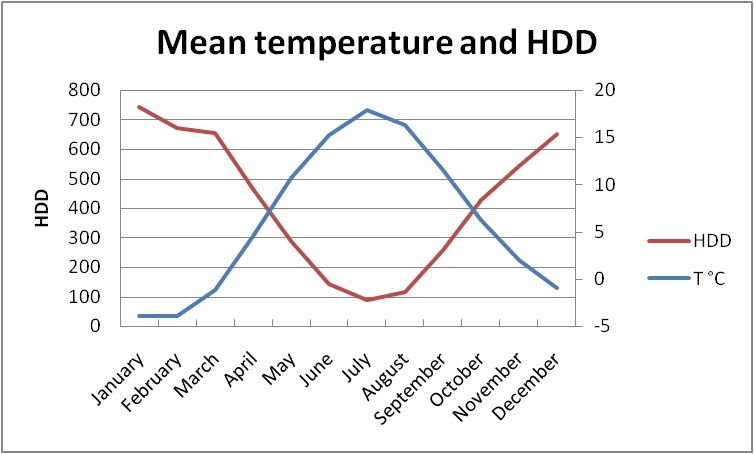 The situation is a bit similar in the UK (Fig. 5) with substantial improvements on the productivity side (30.5%). Consumption figures, on the other hand, show a slight downward trend though less pronounced than in the case of Sweden (-3.2%). Fig. 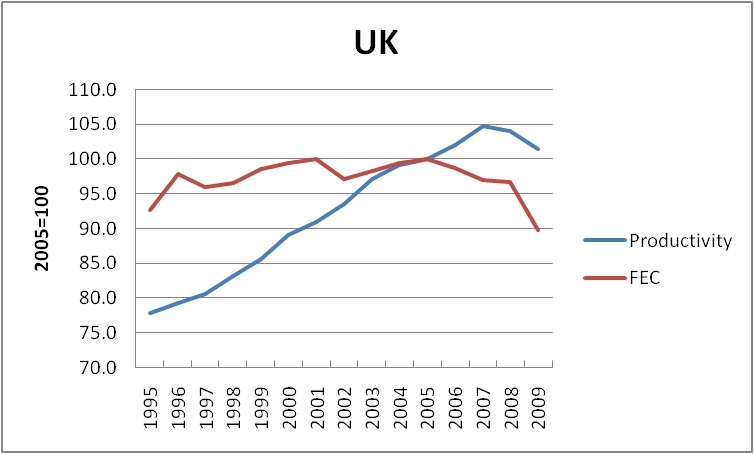 5 Productivity and final energy consumption in the UK, 2005=100. Thus, it is possible to see productivity rising and at the same time consume less energy. 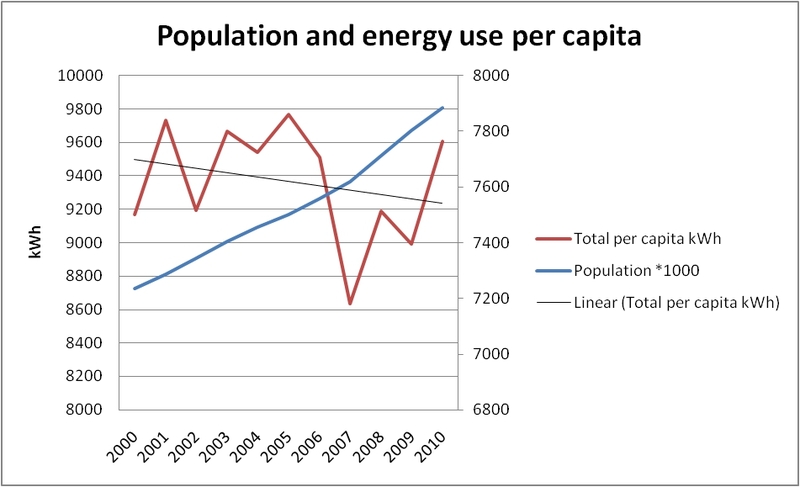 If, however, energy consumption is growing faster than productivity, this clearly indicates that there is a gap in energy efficiency which needs to be closed. Some countries set nice examples of how this can be achieved.